Honestly you’ve probably already heard the news already. And really, you don’t need a site like ours to tell you that Defiance is launching today. But for my sake, and for our reader’s sake, and for the fact that I just love writing about gaming news, I will write a quick blurb about Defiance. Defiance is a groundbreaking futuristic online MMO shooter from the ever popular Trion Worlds. The game will attempt to also tie in to a TV series that will premiere on the Syfy network on April 15th. Defiance is available to play on all your favorite systems, including Playstation 3, Xbox 360 and your Windows PC. In the game, thousands of players will take on the role of an Ark Hunter. You will scour the future Earth in search of valuable alien technology which you will use to your benefit to kill off the alien scum. Your Hunter must play to its strengths, whether that’s customizing your special abilities, using a variety of modern and alien weaponry or your cunning skill. Players can either hunt alone or team up in what is expected to be some fierce multiplayer combat through an intense ever-evolving world. 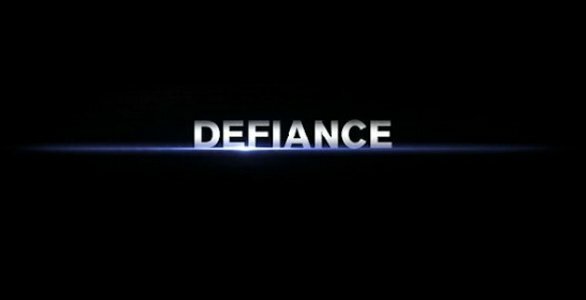 For those interested in purchasing Defiance, or just learning a bit more about the game and the TV series, visit the Defiance website.